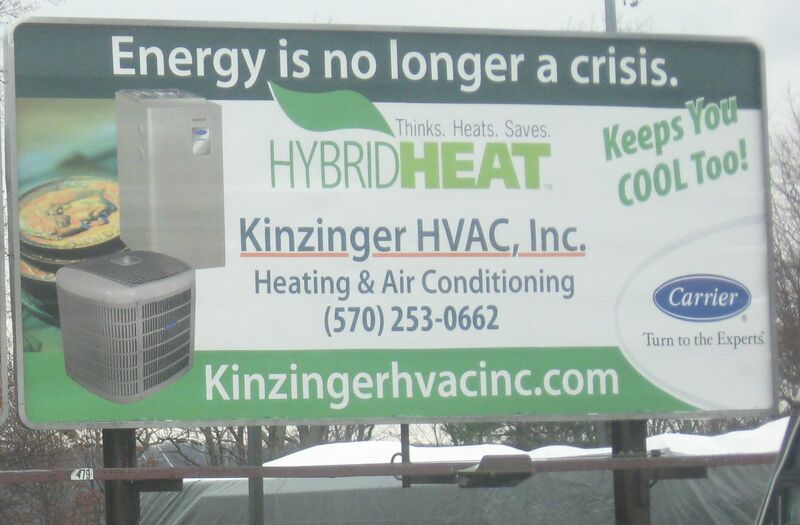 Kinzinger HVAC installs heating and air-conditioning systems in residential and commercial settings. We provide you, our customer, with top of the line service & equipment. If you are sick of being warm on those hot summer days, we have just the right equipment to keep you cool. If you are fed up with paying high electric or fuel bills in the winter, we provide Carrier heat pumps that are 30% more efficient than baseboard electric heat. Heat pumps and hybrid systems are the wave of the future and deliver cost-effective and efficient heating and cooling. Don't waste any time! Contact us via email or phone both which can be found on our contact page. We look forward to hearing from you!